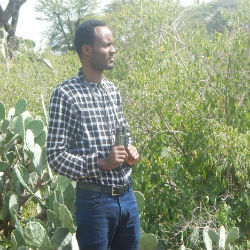 Motuma Adula loves elephants. 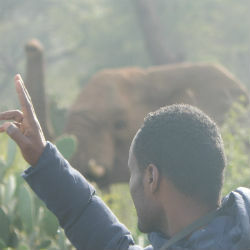 As Conservation Officer for Born Free’s conservation project at Babile Elephant Sanctuary – which supports 350 elephants – he’s got to know them very well. 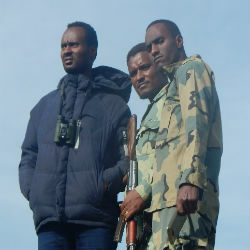 Born Free’s conservation project at Babile, in eastern Ethiopia, aims to halt poaching and reduce human-elephant conflict by supporting regular patrols, constructing chilli pepper fencing and holding meetings with local and provincial government stakeholders. It also runs a six-week basic ranger training and anti-poaching tactical course in partnership with PAMS Foundation. Elephants are under pressure at Babile. The population there has been declining for many years. It faces severe threats from poaching, as well as habitat destruction. However, thanks to people like Motuma, there have been some notable achievements. “Within two years, the project implemented 52 patrols and counted 20 elephant carcasses, 12 of which were attributed to poaching. This is a significant reduction from 100 elephants poached between 2012 and 2013,” Motuma says. “I will never forget when we arrested a poacher in February 2017 following a well organised operation by the army, key informers and our anti-poaching rangers. I was part of the operation. The poacher was sentenced to two years and three months in jail,” he adds. The prosecution led to a seven-month period where no elephants were poached inside the sanctuary.